The Town of Vernon is proud to offer its residents the protection of a paid ambulance staff, available 24 hours a day, 7 days a week. Vernon Ambulance has three ambulance units in town, with two units staffed with a crew almost a full 24 hours every day. 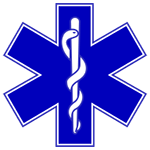 The town is also privildged to have the availability of the Rockville Hospital Paramedic from American Medical Response (AMR) stationed in the area out of the Vernon Public Safety Building to respond to ALS calls requiring advanced treatment in the field and enroute to area hospitals. The Vernon Ambulance offers a free community service installing and inspecting installations of child car seats in vehicles. If you would like to have your car seat installed or have your seat inspected to be certain that it is installed properly and will protect your loved ones in the event of a car accident, please contact the EMS supervisor during business hours, Monday-Friday at (860) 871-7468, to schedule an inspection.